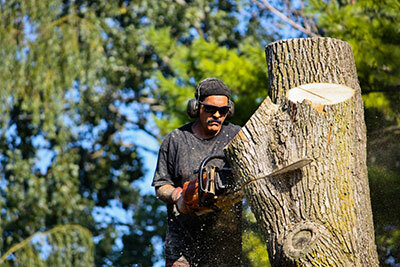 We provide affordable, reliable, and insured tree services in the Sarasota area. You can expect top-notch quality when you do business with us. 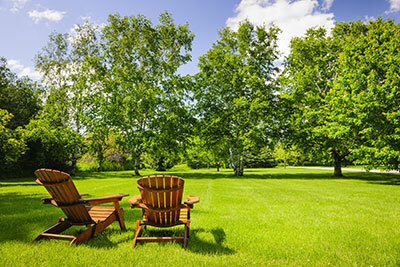 ​Call us today to get a friendly quote from one of our professional arborists in Sarasota. 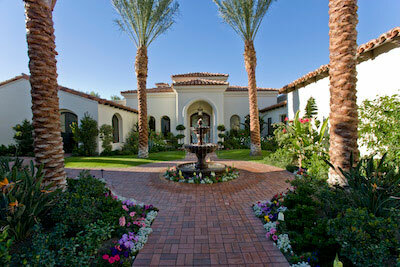 The aesthetics and safety of your property is our priority and our experts strive to provide outstanding results. In addition, our pricing is affordable and competitive. Call one of our Sarasota specialists for a quote. There are typically three reasons to trim or prune: aesthetics, safety and health. The health of your tree will affect its overall appearance. That is why it is important to periodically observe its health and decide if our service for trimming and/or pruning is needed. While there are DIY pruning methods out there, it is always recommended to call a professional business who follow are ISA (International Society of Arboriculture) standards. These certified pros will have the knowledge, skills, and tools necessary to comply with the American National Standards Institute standard for pruning. ​Poor pruning techniques can really damage the health and overall appearance of it. A professional business can make all the difference in keeping them green and happy! Special attention must be given to these actions to ensure that the most environmentally sound and responsible techniques are used. It should also be noted that this should be ‘a last resort’ strategy and that other techniques be considered first. It is important to have qualified professionals to assess your land for quality results and most environmentally sound techniques. Removal and lot clearing are available for yard sized plots to land that spans acres. Bracing may be required if your tree is experiencing structural failures or hazards. Structural problems with them can be a result of long, heavy, or overextended limbs, or the presence of ‘v-crotches,’ which results from two tops growing off the main trunk. These structural defects in your tree can lead to potential failures in other parts and can cause hazards that can lead to property damage or personal injury. Support systems, such as bracing and cabling, are used to keep the integrity of its health and to prevent damage or injury. It is recommended that specialists and ISA compliant professionals install any bracing needs. This is because the hardware used for support systems, including steel or synthetic cables and staking and guying systems, will need to be replaced or removed depending on material, weather, and other conditions. We know how important it can be that trees and shrubs are planted correctly. Whether this is a new installation or a much loved one that needs transplanting, our experienced Sarasota team of specialists have the skills and knowledge needed put your mind at ease. Trees and large shrubs can be heavy, mishandling or dropping them can cause stress and sever delicate roots carrying essential nutrients and water. There are many factors to consider when planting or transplanting an existing one so feel safe in the knowledge that our team can provide a professional and hassle free service. Firstly you should consider where to plant them. Many zoning and neighborhood associations in Sarasota have rules regarding what and where you can plant. Before any work is carried out you should be aware of any underground utility lines and have them marked free of charge by calling 811. This should save both of us any unexpected surprises. When planning your new location you should consider distance from buildings, overhead wires and existing landscaping. We can help evaluate this to ensure the survival and health of any shrub in Sarasota. The time of year you plant can also have a huge impact on the well being of your tree. We make sure the spot located provides enough sunlight and the right soil conditions for your specific one. The optimal time to plant is fall or early spring, however in southern areas like Sarasota, they can also be planted in winter. When transplanting one there are other variables to ensure a long and healthy life. Our skilled team of Sarasota arborists assess the maturity and variety of the tree as well as its current location to make sure that its new home is the best place for it to thrive. Once the shrub has been planted our experts can advise or assist you in its ongoing maintenance to make sure you get the greatest value from it. Most new or transplanted losses are from over or under watering. Soil conditions are important as is the amount of rain fall you'll experience. Consult one of our team members for the optimal watering schedule and equipment to suit your specific situation. Mulching should also be considered. Mulch is a layer of material applied to the surface of the soil and helps protect the trunk from damage as well as maintaining soil moisture, nutrition and temperature.Transplanted trees can behave differently to new ones, so ask us whether fertilizer or a root stimulator is the best option for you. Insect control is also important to protect your trees and you should keep an eye out for boring insects, oozing sap and ant traffic. 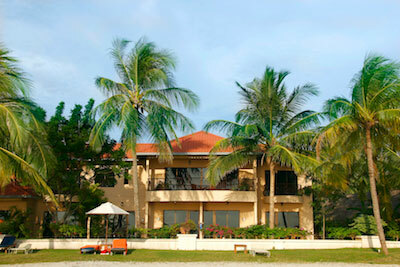 One of our staff will be happy to answer any questions and provide suggestions. Cleaning up debris after a storm or hurricane can be dangerous and you should always consult a professional. We can safely eliminate any danger, provide care for any trees that can be saved and return your lawn to its former glory. After storms or natural disasters such as hurricanes many people capitalize on the need for clean-up. You should always exercise caution and speak to a professional. Our certified arborists are compliant with ANSI guidelines and have the adequate equipment and insurance to work safely and efficiently. 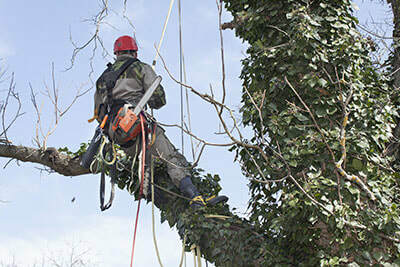 We will take down any dead or hazardous limbs and endeavor to save any restorable ones. 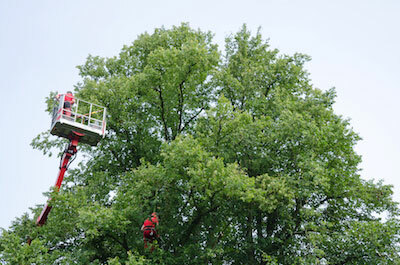 We provide pruning for damaged trees to support good structure and eliminate the risk falling. Our arborists make sure that all damaged ones are tended to and that no branches can be dislodged and damage property or worse, an individual. You should be aware that after a storm, some can uproot underground utilities or collide with overhead power lines. When combined with flooding this can be extremely dangerous and you should contact us straight away. Initially, demossing one may appear to be a simple or fool-proof practice. There are, however, risks in conducting this practice yourself and it is advised that you hire an arborist to ensure the longevity and health of it. Spanish moss or Tillandsia usneoides, can often be found on trees in Sarasota. It appears to favor live oaks or bald cypress types but can be found on many varieties. 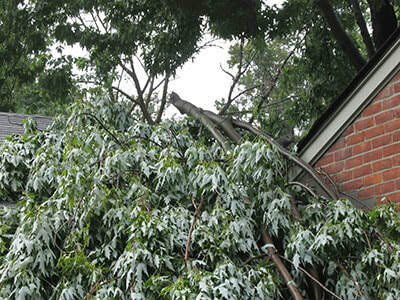 The most common risk when demossing a tree is the elimination or damage of important foliage. Our Sarasota certified team of pros are careful that existing foliage remains intact while performing thorough care. Its leaf population is essential to its ongoing health and excess defoliation may harm it. It is usually best to remove a proportion of moss rather than all of it in one go as this could cause unnecessary damage to it. We prefer to demoss by hand rather than spraying with sodium bicarbonate. Spraying causes the moss to die on it and eventually fall to the ground. If this process is not repeated over at least three years then results may not be satisfactory. More importantly, spraying can also expose dead wood if sufficient pruning has not been performed. It is often be hard to tell when it has too much moss so it is recommended to check with a professional and we can suggest whether it is time to act or if your tree can be left until moss build-up is more severe. It has been claimed that between 30- 60% of a specimen's foliage can be destroyed when demossing is not carried out properly This is why you should always hire a certified professional to care for it in a responsible manner. Call one of our experts for a free quote. If you are deciding whether to remove one or want to know the health of a tree, a Sarasota certified arborist can conduct an evaluation and/or tree risk assessment. To get a solid evaluation or assessment call one of our professional Sarasota-based arborists today.